What does it take to be effortlessly stolen away from ‘yourself’; to not just be passively content, but to be enraptured? To feel that child-like, mischievous pleasure in reaping the utmost joy from a seemingly small moment. To the point where conventional etiquette, that we are so pressingly expected to maintain, is hastily pushed away and forgotten; to the point where we, quite literally, live and breathe for the moment. Bewilderment, thrill, wonder, allure, adoration, intrigue and discovery. This potion of words expresses the intoxicating emotions and desires required to throw me into my most joyful state of mind; rapture. I have realised that, more often than not, a moment must enable me to experience all of these at once for me to be enraptured by it. To be ‘delighted beyond measure’, to be cast over by an ‘irresistible spell’, to be enchanted. So far in my 26 year old life, I have only discovered two things which enrapture me; true love and Nature. Both captivating, unpredictable, and precious; the essence of each can be found reflected in the other. Subjective moments of true love and Nature entice the creativity out from within us; poetry, stories and art offer us an insight into the enchantment experienced by others in such moments. For me, the essence of true love can be found in a particular moment in Nature; in the entre chien et loup eclipsing a British woodland. The entre chien et loup is the fleeting moment between day and night, in the low hanging sunlight of an emerging dusk. With a literal translation of ‘between dog and wolf’, the entre chien et loup softens the clarity of your sight; where creatures of the wilds can be seen, but become difficult to identify. The promise of hope and fear is therefore fabled to reside in the entre chien et loup, a promise which true love also offers. How privileged we are for rapture to currently be so easily attainable; to have the freedom to retreat from pressures and routine into the enchantment of Nature, into the overlapping domain of true love. To be enraptured by the eyes of an urban Fox, in hearing the first Cuckoo of spring, in the boundless wonder of the night sky. 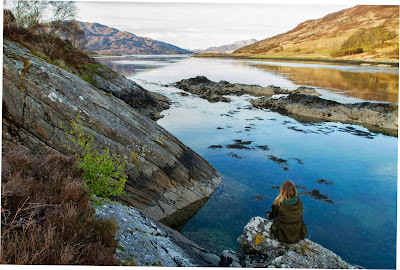 Enraptured by the beauty of the Isle of Carna last week. Photo credit: Cain Scrimgeour. In true Wild Intrigue style, this week began with the rewilding of a group of young school children. I had arranged to visit Roseberry Academy, Great Ayton, and couldn’t wait to get into the school’s wildlife garden. Stepping into the classroom, echoing quick ‘good morning’s!’ to each other, curious eyes stared back at me eagerly; so with anticipation buzzing, we all bundled into the cloakroom and threw on our wellies, raincoats, gloves and hats. 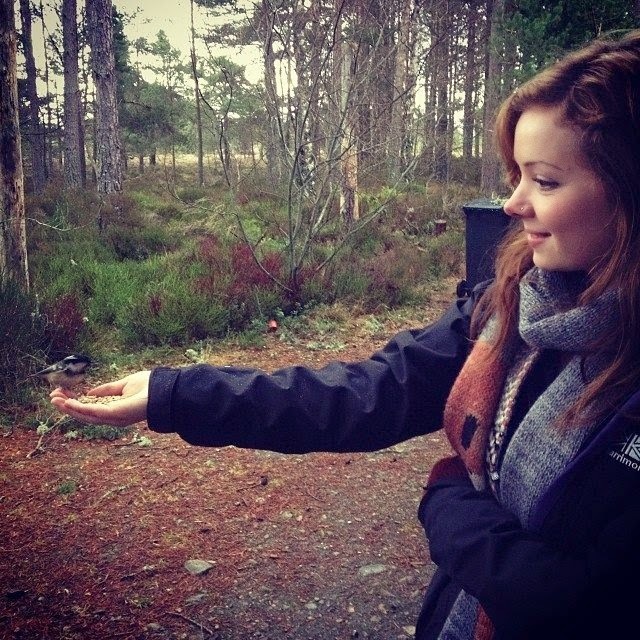 “Right then wild ones, I need volunteers to carry to carry treats up to the Wild Bird Take Out…!” Hands shot into the air and a huge jug of water, mountain of sunflower seeds, mixed seeds and halved apples were shared out across eager, grabbing hands. 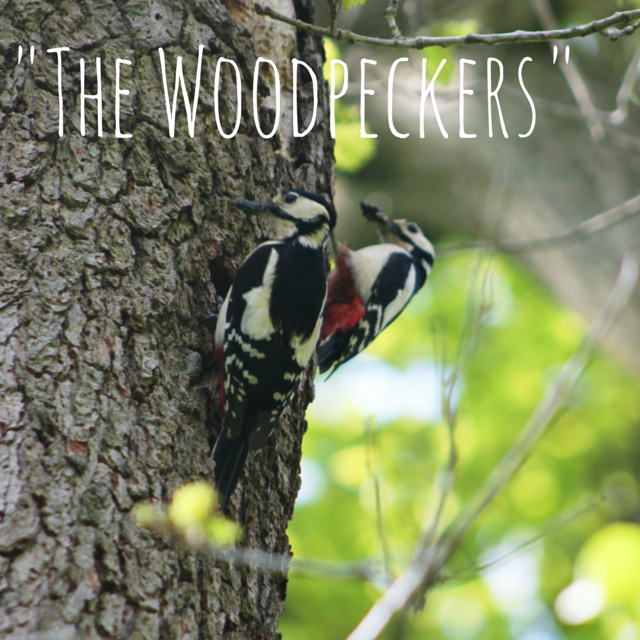 We ventured across the school field towards the wilds of the wildlife garden, chatting about the wildlife we had all been lucky enough to encounter near our homes since we last met. This was the first time this particular group had spent time in their new wildlife garden, so I was curious how each child would carve out this wild space to make it into their own Nature Den. We reached the Willow Arch leading into the wildlife garden, and entered through into this wildlife haven, previously unexplored by these young wild ones. First stop was the Wild Bird Take Out, a pit stop for resident and commuting birds to feed up and grab a quick bath before heading on with their business. The stagnant water in the bird bath was emptied and refilled with the huge jug of water, which had been so carefully carried across the school field (with only a couple of spills!). The mixed bird seed and sunflower seeds were emptied into a big bucket, which was then offered to each child to grab and handful and add to the feeding stations. Lots of giggling broke out as the bird seed slipped between fingers, and the children realised that cupping their hands was the best method of tackling this tricky new substance. Once all the new feeders were full to the brim with seed, and the children had scattered their halved apples throughout the wildlife garden, I brought out a mix of feathers collected over the year; Pheasant, Tawny Owl and Feral Pigeon were the most admired. The colours and impressive length of the Pheasant tail feather, the beautifully soft texture of the Tawny, and the shimmering, iridescent green of the Feral Pigeon were all examined as the feathers circulated the group. Watching a curious Robin and sitting on a Toadstool... Not your average Monday at school! Success! 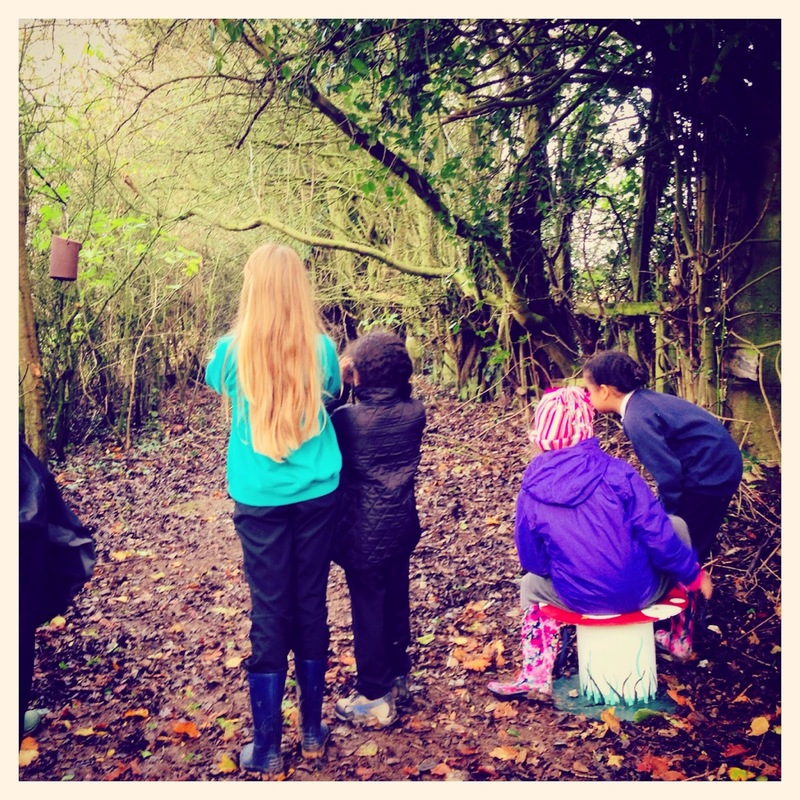 Although it will take a few more sessions to drive away the commonly innate fear these children have of bugs, the children have developed a greater understanding of invertebrates and wild birds, and it appears that 45 minutes in Nature has allowed the creativity of the group to flourish, enabling this literacy class to reflect upon their individual experiences and express their opinions with elaborate words. 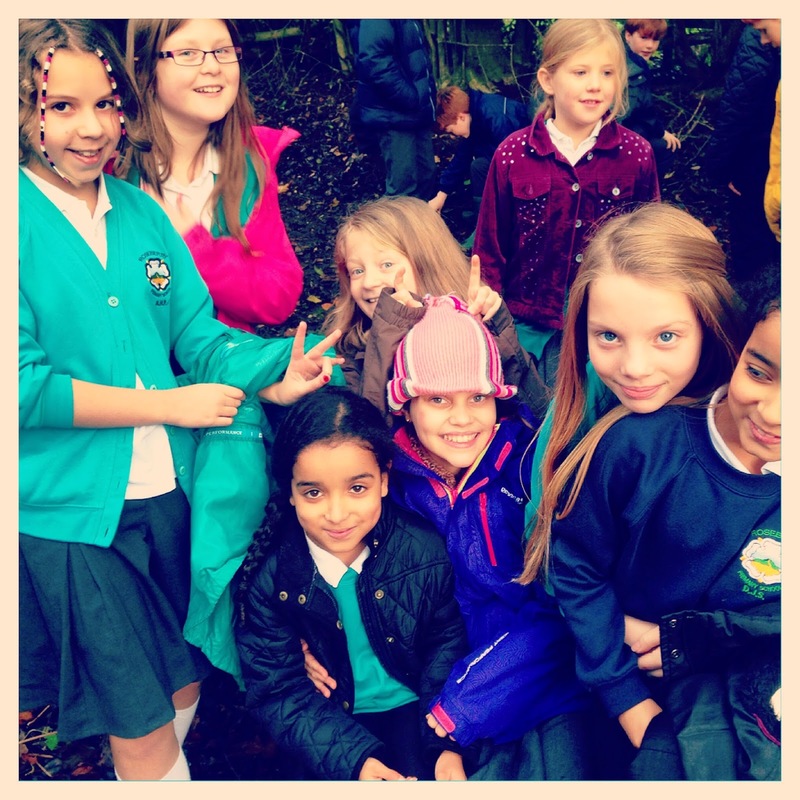 The importance and value of the wildlife garden to these young minds, and to the school, will continue to prove itself. This single session alone is proof of the value that the natural world has upon the educational, personal and spiritual development of children; and is a testimony to why wild places on and surrounding school grounds must be restored, enhanced and made accessible to future generations who will so passionately protect them. Nature Is Speaking: How will we respond? Yesterday, the world heard Nature’s voice; and for the first time in a long time, we have sat up and listened. We have shared with each other a potent message on behalf of Mother Nature, as well as some firm reminders of the reliance we have on the biomes (major habitats such as Forests or Rivers) that encompass her; a knowing once so deeply instilled within us, now fading as our connection to Nature is torn apart. Nature’s message has been eloquently presented to us by Conservation International's Nature Is Speaking campaign; an organisation who have been hearing the troubled, haggard whispers of Nature’s struggling biomes long enough to give them bold new voices; offered by an impressive Hollywood A-List. Rightly transformed from what many consider to be gentile, gullible, dull and forgiving landscapes, into very real forces; living entities tired of the needy, weak, egotistical race that is humanity. Living forces that have finally said, “Enough is enough”, fatigued with our ever increasing greed, our short sighted, short minded consumption. Apathetic to our excuses, to our boasting promises of ‘green compensation’; a blackmail forcing Nature, and ourselves, into extinction. A sense of foreboding lingers in each message; however Mother Nature and her biomes are not portrayed as callous, but are instead shown to offer us one last chance to reconnect with that deep, innate sense of reverence towards the sheer power of Nature, and of our complete reliance upon it. One last chance to make this relationship between humankind and Nature work. One last chance to prove to Nature that we are worthy of sharing this planet with her; humble enough to live alongside her; adept to use her resources sustainably, and bold enough to contend with our own kin for her protection. At the end of Mother Nature’s speech, we are asked if we are prepared to evolve. Can we, as a species; as the ‘dominant’ species on this planet, reconnect with the consciousness of our natural selves in time to prevent our own extinction, through our impending genocide of the natural world? How simple is it to make that first step; the connection to our innate ‘natural selves’? Is it as simple as recognising the phenology of Nature, the reincarnation of seasonal phenomena, as discussed in my previous post? Is it as simple as feeling enlivened and unnerved during a thunder storm? As much as we may feel in awe over natural phenomena such as these, how often is it that lucid accounts of our emotional responses to such encounters are shared? How often does a village, town or city community have the opportunity to undertake a shared experience in Nature, and to discover their shared emotional responses to such a communal experience? Is this what our society is lacking; shared experiences in Nature on a community level? Is this why Nature is often awarded such little interest and respect? We are a highly social species; we relish in finding new ways to connect with others. However the very word itself; ‘Connect’, has evolved. We cherish technological aids that enable us to ‘connect’ with people on the other side of the planet, who we will never meet. Our hands clasp phones, devices which have adapted the way we communicate with friends and family; enabling us the ‘freedom’ to never have to meet them in the eye. If we are losing our true connection, our natural connection, to each other in exchange for technology, what chance does Nature have? What chance does this ‘backdrop’ have when images on a 2D screen are considered to be more enthralling than a woodland or a sunset? 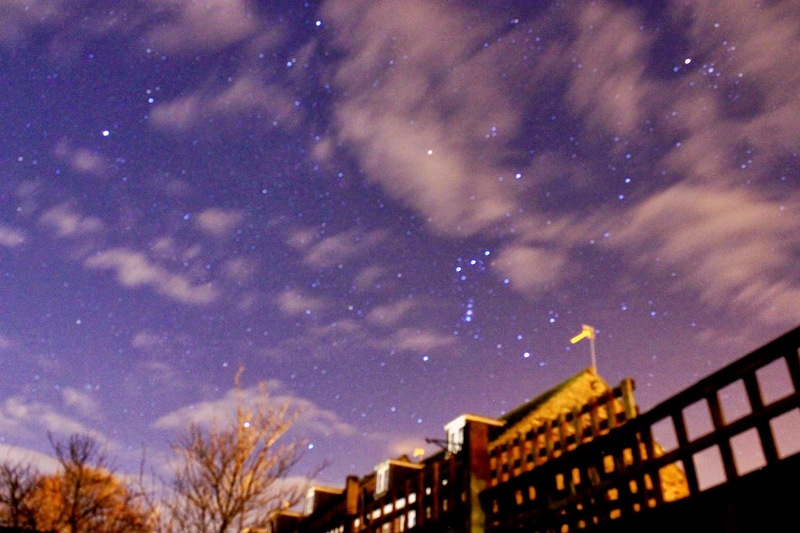 Clear night skies provide ideal opportunities for whole communities to share an experience with Nature. Those of us who already have a lifelong interest in Nature can sometimes fail to understand why others do not share our enthusiasm. However it’s easy to forget that when we are encapsulated in Nature by ourselves, we never feel alone; whereas those less associated with Nature can. As a social species, the thought of being alone, with no technology to entertain us, may be daunting and a little off-putting to some. So what is the answer? How can we enliven the consciousness of the innate inner ‘wild’ that is lying dormant within so many of us? How we can reignite our connection to Nature? Perhaps the answer is offering communities; social structures which are already formed, opportunities to have shared experiences in Nature. Experiences where the real forces and wonders of Nature, as have been so well portrayed by Conservation International’s videos, are shared and discussed within a community group; enabling shared emotional memories to be created and developed. Memories which can be reflected upon whenever a member of that group has the instinctive urge to escape outside into their urban wilds alone. 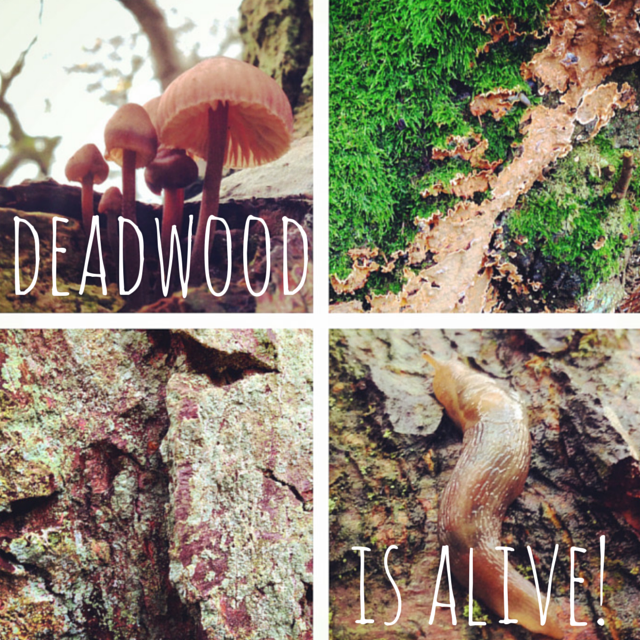 Memories which will bring a sense of community back into natural spaces. I will be exploring opportunities to develop natural spaces, and shared emotional experiences in Nature, within communities in my local area. The Den of Wild Intrigue will of course become home to any progress, downfalls, and smiling muddy faces that arise from these projects. If you have undertaken projects with a similar focus, and have monitored the results, I’d love to hear from you. Definition of Phenology: The cyclic and seasonal changes of natural phenomena, especially in relation to climate and plant & animal life. Beautiful Autumn blusters have been whipping and whistling around the north east for the past week, and this evening another telling sign of summer's end has made itself notably clear to me; the imminent absence of one of the more endearing soundtracks to our British summer. Since their return to Britain earlier this year screams of Swifts have been welcoming me home from dawn bat surveys, and wishing me well on nocturnal wildlife escapades. Now, the unmistakable calls of this estate's breeding population of Swifts has rung silent. And just like that, as though the Autumn winds themselves have gently whisked these summer migrants along their southern route, the dominant audible summer phenology of this estate has ended. I wonder what audible phenology Autumn will bring to this part of suburbia? The rustling and crunching of crisp leaves? The travelling calls of young Tawny Owls vocalising the boundaries of their new territories? 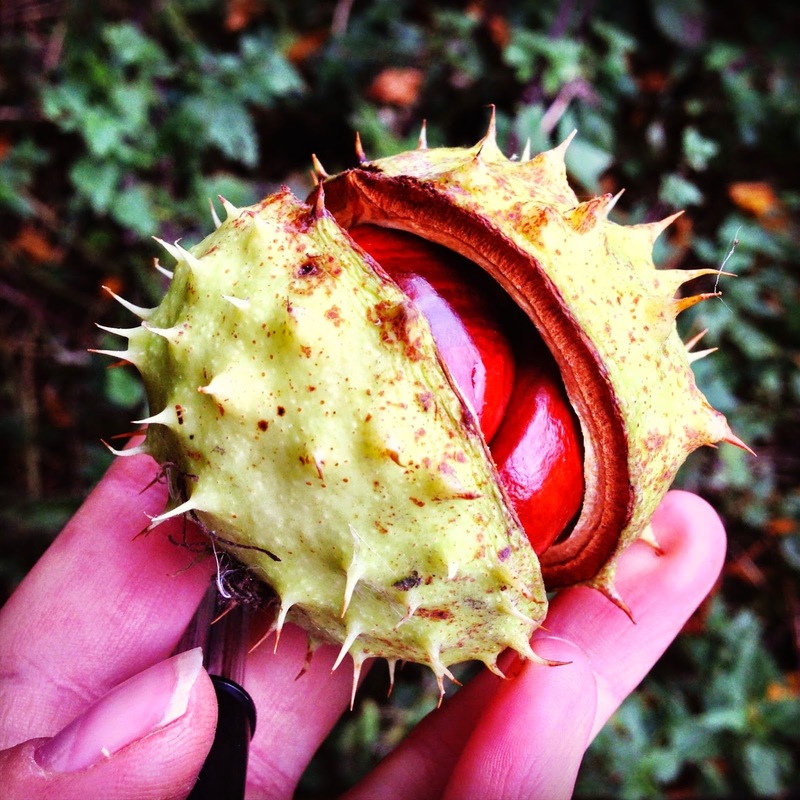 Perhaps the clunking of falling Conkers will be the next sound? With every crisping deciduous leaf swaying in the morning's Autumn breeze, I get a yearning for all other telling signs of the auburn season to storm my senses. I look forward to the phenological encroachment of Autumn each year, since my early childhood; from the first time my mum and I first kicked up the huge piles of temptingly crisp leaves that the Burn Valley park attendee had so neatly 'tidied'. Swirling Autumn gusts would whip up and take hold of each leaf, as though the essence of Autumn itself became entwined once more in a dedicatory dance of its antecedent; Summer. 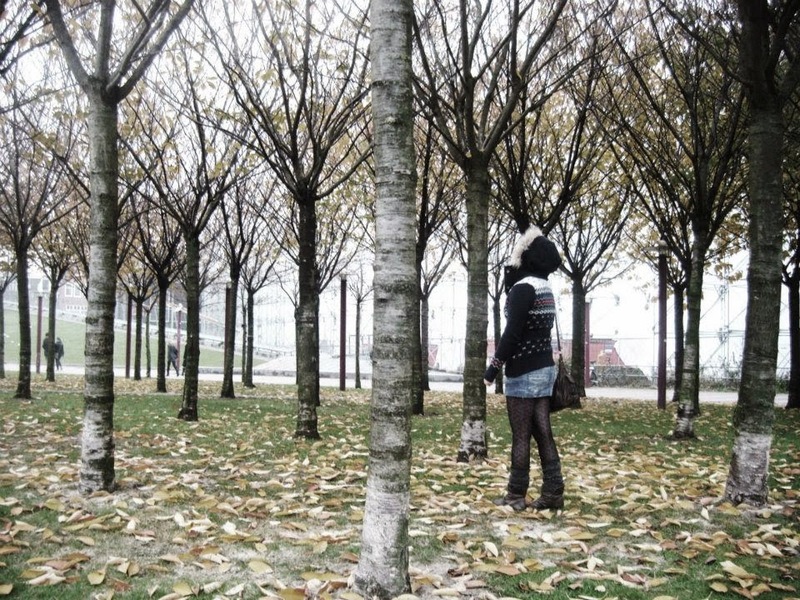 Dancing leaves would trap us both in a moment of Autumn at it's purest; our senses, gratefully invaded. Beams of golden light from the low sun would break through flickering shades of amber, hazel, cinnamon and fawn; a visual display to the uprising redolence of damp bark and earth. An enrapturing swarm of rustles; a sound, to me, with a whispered affinity to the sea's flow over pebbles on the shore. As an adult, each rustle of a leaf, every scent of damp earth, takes me back to childhood moments of escapism such as this. As natural surroundings adapt phenologically, so do we. Now, before I become labelled as a 'bunny cuddler' (which, by the way, isn't as cuddly as you'd think...), behavioural reactions to seasonal shifts isn't a new-age philosophy. It's science. To be more precise, it's neuroethology; the study of behavioural reflexes which certain external stimuli can induce within us. Have you ever come across the same scent of someone you love, and had the same surge of emotions that being with them can cause? Have you ever smelt a particular food, which you ate throughout your childhood, and it made you reflect on memories of your childhood home? This 'olfactory (scent) memory' is caused by 'neuromodulation'; a smart tool within us which connects the scents we receive with the emotions we're feeling at the time of smelling them. Neuromodulation exists within mammals (yes, including us!) and is an evolutionary tool we've so cleverly maintained to help us survive. Many of us may notice behavioural, physiological and emotional changes within ourselves as the seasons shift; our very own phenological changes which are cyclical, repeated and strengthened each year. So how important is it, that we understand phenology in children? Emotionality in children is considerably higher than it is in adults; meaning that the emotional memories which children create often last throughout adulthood. Olfaction is the strongest medium for the emotional retainment of memories; and has allowed the autumnal scents of damp earth and dusty leaves to take me back to the freedom of kicking up leaves with my mum. Living in a society with an a linear, "go forth and don't look back", outlook is problematic. Children may grow older in a linear fashion, (I am yet to see a real life Benjamin Button), but their cyclical phenology is recycled year after year, and embedded into their behaviours into late adulthood. Two things which children yearn for are; stability, and to feel that they understand the world. Encouraging children to look closely and discover the seasonal changes that are taking place in the natural world surrounding them is a sure way to fulfill those desires. Nature is the only feature in this world which will always have some involvement in all our lives; it offers a promise of stability, understanding and connection. Just as we rely upon phenological natural phenomena, it relies on us; if the majority of us do not acknowledge seasonal changes such as the screams of swifts, how will we know if they disappear? I was disappointed to realise that not once this year have I spotted anyone living in this estate stopping to acknowledge the beguiling sights and sounds of the Swifts, which share the buildings of our own homes: not even the children. I'd love you to share any seasonal changes which stir your emotions, and how they take you back to any childhood memories. After all, to understand the phenology of Nature in the places we live, is to understand ourselves. - Rachel Carson, The Sense of Wonder. 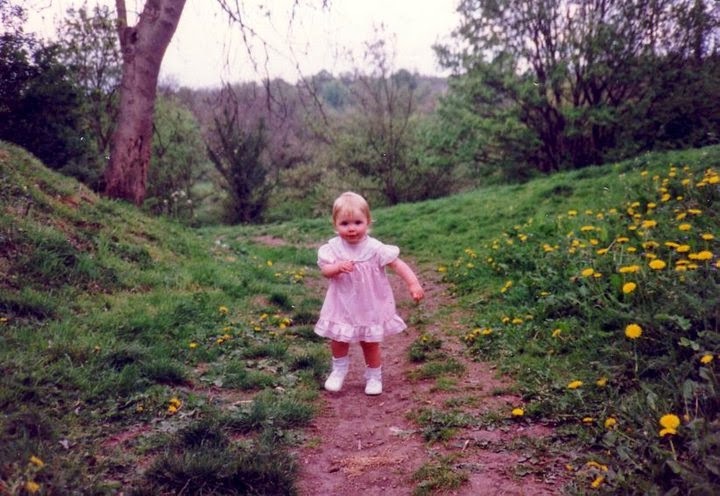 My 18 month old self, discovering flora & fauna. I have been wondering lately how my childhood might have led to the endurance of my deep sense of wonder and 'youthful' adoration for Nature. For those of us who spent time our childhoods with muddy, grazed knees, sky-gazing eyes, and pockets full of feathers and eggshells - it seems our curiosity and 'inner wilds' have decided to stick around beyond the age of 12. My car (and hair, for that matter) can usually be found to have the occasional scavenged flower or feather in it. Fox cubs on a rail line. Eating chocolate cake under an Oak and feeling safe. Scavenger hunts instead of school. The chilling scent of Autumn. ...Sneaking foraged berries from baskets. Searching for newts in the beck. Crying uncontrollably at boys kicking a pigeon. My crippling fear of bugs. Weeklong heartbreak upon discovering Canada's Seal Hunt. Researching South Africa's invertebrates, and being intrigued. Tears of disbelief seeing my first wild leopard. 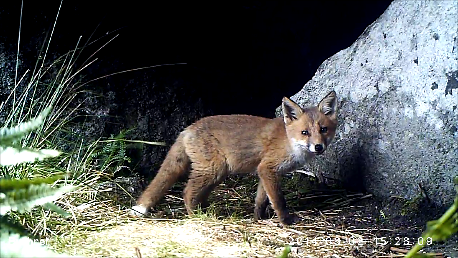 Spending spring evenings with families of foxes, and feeling welcome. Constantly watching/thinking about/working for wildlife. Waking for the country dawn chorus, appreciating the melody. Yearning for Autumn, and its lingering aura. Acting for the voiceless. Not shedding a tear. Questioning everything & having an endless sense of wonder. As a child I played endlessly outside. Rollerblading, skipping, climbing trees, climbing walls (falling off walls), being stung, being bitten, being chased... being happy. I played freely, I learnt about the world I was growing up in, and I survived! With threatening echoes of punishments being handed from police authorities to freely playing children, ball games, woodland exploration, and den building are on the decrease, soon to be whispers of childhood past. Glorious summer days are passing, neglected; streets are wintry - devoid of inspiriting giggles, excited screams and water-fights. Reflecting on my own childhood, I now understand how opportunities for heuristic play and cognitive development are crucial for children to be healthy, happy and inspired. Whether a child's home patch is urban, suburban or rural, the availability of free land for that child to play, learn and discover, solely and socially, is essential. So, how is it that only approximately 3% of England's landscapes are registered as 'common lands'; half of which are less than 1ha in size, with the majority being protected sites such as SSSIs. The safeguarding of wild spaces in communities, bursting with natural curiosities inviting children to smell, touch & adore; for children to adventure through constellations with friends & family, needs to be a priority. Before it really is too late. Who greater to inspire, teach and motivate children; to give these young, porous minds such important lifelong lessons, than Nature? With every gull's squawk sailing through a back alley, every fox's haunting yell, every slugs invasion into a shoe, every school-field daisy opening in the sun; there are opportunities for children to be inspired, to learn, and to get that unforgettable buzz of connecting with something wild (you know the one). Nature freely offers infinite lessons and memorable encounters. A self-preserving army of ants marching on a curb is a lesson in biology, a memorable muse for storytelling, and encouragement in the face of fragility. The rise of a Blackbird's melodic dawn call may invoke the wonder of how a song with such determined intent, can be articulated with effortless, desirable grace. In a world where human communication is becoming so detached and undignified, the enlightenment of composed self-expression gained from hearing a Blackbird's song is boundless. To be a child is to be inspiringly wild, to be endlessly intrigued. 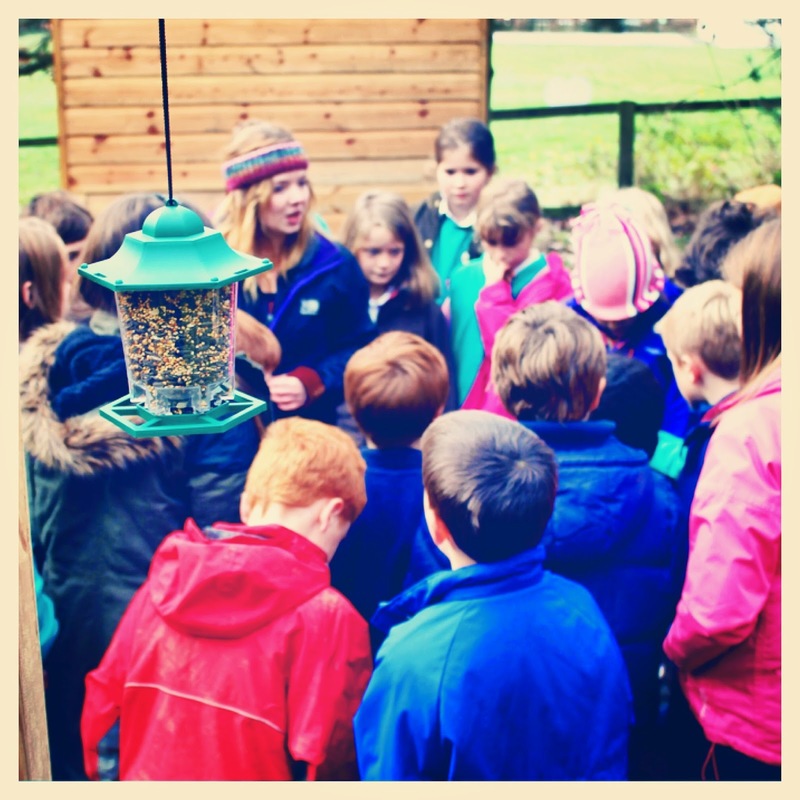 I am passionate about affording children opportunities to be wild and intrigued in their schools, and I would love to hear any stories from my readers who are doing the same. Whether you're a teacher, parent, naturalist...I'd love to hear how you're sharing your timeless, childlike curiosity for all things wild with young people. Welcome to The Den of Wild Intrigue.